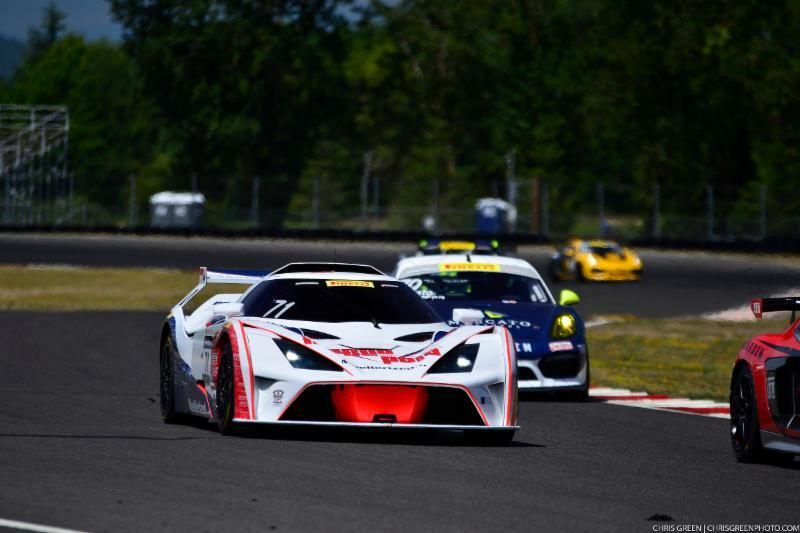 After a two day test at the Utah Motorsport Campus, race car driver Nicolai Elghanayan and MarcoPolo Motorsports are ready for the Pirelli World Challenge Utah Grand Prix, August 11-12. In his inaugural season in the Pirelli World Challenge GTS class, Elghanayan (EL-GAIN-NYIAN) and his KTM X-BOW GT4 have shown significant progress, picking up a win earlier this year at Lime Rock Park. 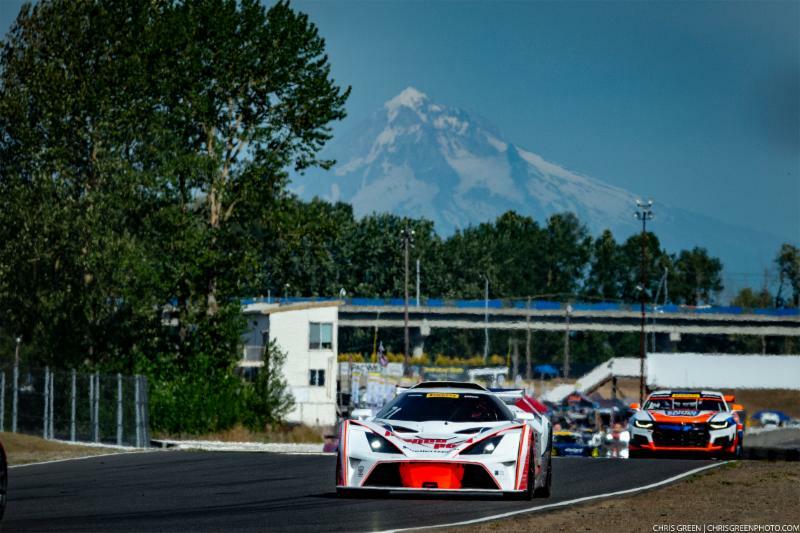 While the last double header race event at Portland International Raceway was filled with attrition for the Laguna Beach, California native, all eyes are forward to focus on this weekend’s races. The SprintX Championship finale will consist of two 60-minute races, on Saturday, August 11th, and Sunday, August 12th, respectively. 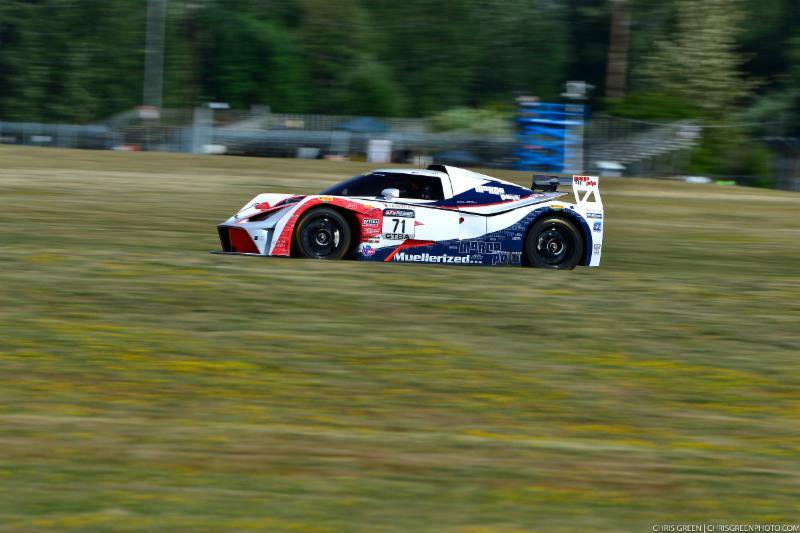 To prepare for the event, Elghanayan ran for two days at the 14, turn, 3.048 mile road course, getting familiar with the track in the KTM X-BOW. The 300hp sports car is equipped with a 2-liter-TFSI-engine, with a Holinger sequential gearbox. 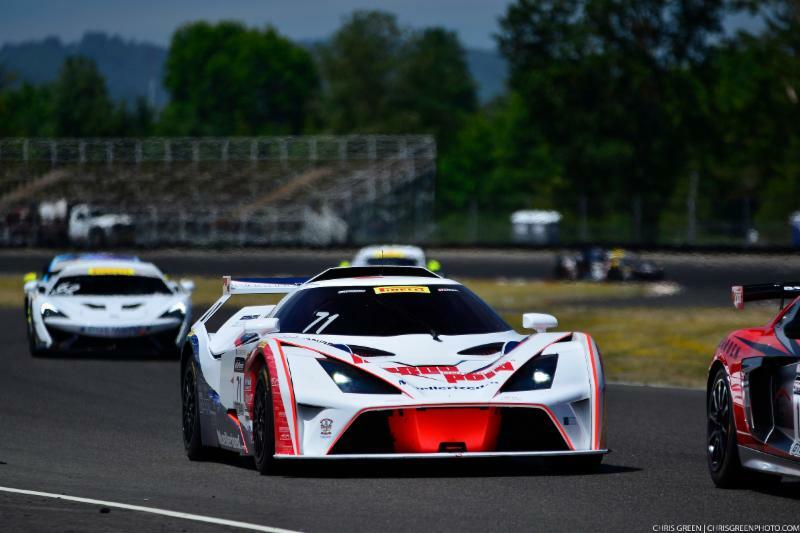 Testing the racing machine at the track beforehand was crucial, as not only is it Elghanayan’s first race at the facility, but the track sits at nearly 5,000 feet above sea level, dramatically affecting the power of each sports car competing at the event. Elghanayan and the team at MarcoPolo Motorsports will have two practice sessions and one qualifying session before Saturday and Sunday’s races. Each race will last 60 minutes, with a mandatory pit stop that must be completed during a pre-established ten minute window. Each car must spend a minimum about of time in pit lane, or risk being penalized mid-race with a drive through pit lane penalty. Race one will go green Saturday, August 11 at 1:10PM Mountain Time, followed by race two on Sunday, August 12 at 11:00AM. Both races will stream live on the Pirelli World Challenge website, as well as the series YouTube page . For event information, visit world-challenge.com. "The test was a great opportunity for me to learn the track, since I’ve never been there before. We learned a lot about where the car is strong, as well as knowing where I have to improve on in order to bring my times down. As a driver, I have to focus on the slow corners of the track because that’s where I’m losing the most amount of time. Once I get those two or three turns nailed, I think we will be very competitive this weekend. After looking at the race videos from 2016 and testing at the track, our car is going to be extremely effective towards that back end of the track with those long sweeping turns. We will be able to carry a lot of speed." "I’ve made a lot of improvements in my racing career just in this short period of time racing with Pirelli World Challenge. Patience is definitely one of the key points when racing with these guys. Everyone is racing at such a high level that’s it’s more like a game of chess when it comes to passing. Especially with the KTM, I don’t have the straight line speed to pass someone, so sometimes I have to plan two to three laps in advance in order to get a clean pass done." Marco Polo Motorsports is a multi-generational motorsports racing/collection/restoration family. Beginning in the early 1980s racing historic motorcycles, Marco Polo Motorsports strives to race, preserve and present rare and valuable racing vehicles. With that drive to get some of the finest collectibles from any part of the planet, Marco Polo Motorsports also has partnered with Scuderia Rare Parts and Ferrari Electronics to service, refurbish, and manufacture rare components for Ferrari® vehicles. © 2018-2019 Marco Polo Motorsports, All Rights Reserved.